NARILIS adopts a new logo! 2017 is the year of launch of 10 new research institutes at the UNamur, in addition to the NARILIS institute which was founded in 2010. Like NARILIS, each new institute brings together expertises from many different disciplines around a common research thematic. By this way, the UNamur aims to foster transdisciplinary collaborations and innovative approaches to tackle complex research questions. In the context of this evolving research landscape, NARILIS adopts a new logo with a more contemporary look. As the one adopted at the onset of NARILIS, this new logo also features a DNA helix and a patient, symbolizing the mission of NARILIS to support both fundamental and clinical research, and especially to build bridges from bench to bedside. 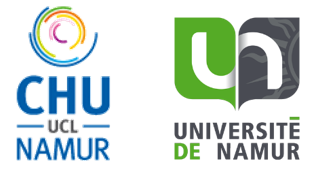 Moreover, the green and blue colors reflect the partnership between the UNamur and the CHU UCL Namur. A new website will follow soon! Since several years, multidisciplinary research projects have emerged from collaborations between the UNamur and the CHU UCL Namur in the field of cancer research. These joint efforts are now being reinforced with the launch of a Cancer Research Pole within NARILIS. At this occasion, NARILIS held a kick-off meeting on March 24-25 at the UNamur and had the honor of welcoming 4 internationally renowned speakers: Prof. Georges Noël (Centre Paul Strauss, Strasbourg), Dr. Jean-Christophe Marine (K.U. Leuven), Prof. Vahid Asnafi (Institut Necker-Enfants malades, Paris) and Dr. Christophe Caux (Centre Léon Bérard, Lyon). Moreover, NARILIS Cancer Research Pole was proud to announce the acquisition of a leading-edge equipment, an X-ray irradiator. This tool, located at the Laboratory of Analysis by Nuclear Reaction (LARN) of the UNamur, is unique in the region of Namur and is aimed at advancing cancer radiotherapy research. The availability of this novel cell and animal irradiation platform will enable preclinical experiments on the synergy of radiation with other therapies. The X-ray irradiator was acquired thanks to the support of the UNamur and the asbl Oncobeth and Solidarité-Espoir of the CHU UCL Namur (site Sainte-Elisabeth). Asthma and chronic obstructive pulmonary disease (COPD) are two highly prevalent respiratory diseases. They are both characterized by chronic airway inflammation and airflow limitation. Some patients share clinical features of both diseases, which leaded to the concept of "overlap" syndrome, referred to as asthma-COPD overlap syndrome (ACOS). Until now, precise definition and recommandations on the diagnosis and treatement of ACOS are lacking. Dr. Eric Marchand, pulmonologist at the CHU UCL Namur and professor of physiology at the UNamur, joined a panel of Belgian experts to develop a survey on ACOS diagnosis in COPD and asthma patients. This survey was completed by 87 Belgian pulmonologists and pointed out consensus criteria considered as relevant to diagnose ACOS. Harmine is a natural compound isolated from plants, known to exert high antiproliferative properties. In 2012, the research group of Prof. Johan Wouters (Department of Chemistry, NAMEDIC, UNamur) reported the design and synthesis of 2,7,9-trisubstituted harmine derivatives showing high antiproliferative activity on diverse cancer cell lines (Frédérik et al., 2012). As these first compounds presented poor solubility, the group worked on the synthesis of new molecules with optimized pharmacological and physico-chemical properties (Meinguet et al., 2015). Among these high soluble compounds, CM16 was identified as the lead candidate. Recently, the Laboratoire de Cancérologie et de Toxicologie Expérimentale from the ULB further evaluated in vitro the anti-cancer properties of CM16 and its potential to inhibit protein synthesis. 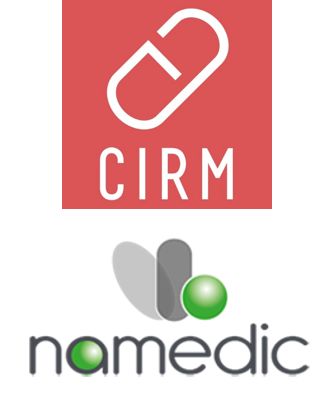 The Namur Medicine & Drug Innovation Center (NAMEDIC), leaded by Dr. Lionel Pochet, maintains since many years collaborative ties with the Center for Interdisciplinary Research on Medicines (CIRM) of the ULg. Recently, they jointly published a review article highlighting the utility of capillary electrophoresis (CE) in the field of drug discovery. Although CE is widely recognized as an efficient microscale separation technique, its use in the early stages of drug discovery is rather scarce. In this new publication, they report the latest developments of this technique in three different drug discovery areas: bioassays, drug-plasma interactions and drug metabolism studies. Food allergy is a major public health problem and implies a mandatory labelling of food allergens in Europe, North America, Australia/New Zealand and Japan. 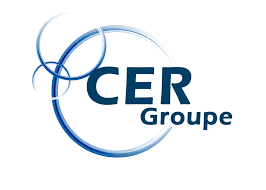 The Health Department of the CER Groupe in Marloie conducts research on the detection of food allergens by mass spectrometry in processed foodstuffs, with the final aim to improve food labelling and protection of allergic populations. This work is running in partnership with Prof. Thierry Arnould from the Laboratory of Cellular Biology (URBC, UNamur). The project is supported by the Walloon region (ALLERMASS project – FIRST DoCA program) and the UNamur Mass Spectrometry platform (Prof. Patsy Renard and Marc Dieu). In their latest publication, PhD student Mélanie Planque highlights the difficulties that food laboratories have to face regarding food allergen control. Red blood cell transfusion is associated with increased thrombotic events and mortality. The release and accumulation of procoagulant extracellular vesicles (EV) from red blood cells during storage may play an important role in these thrombotic effects. The techniques currently available to study EV have several limitations including their costs, the technical expertise required, the turnaround time and the lack of standardisation. In a recent study, the Namur Thrombosis & Hemostasis Center (NTHC) assessed the value of a simple clot-based assay (STA®-Procoag-PPL) for estimating the procoagulant potential of stored red blood cells, considering that this assay is cheap, rapid, reproducible and could be widely available in clinical laboratories.